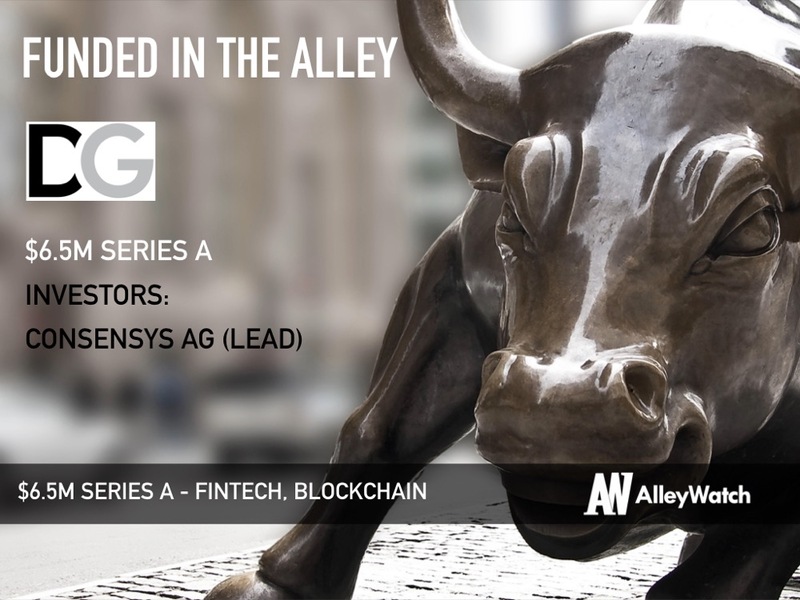 AlleyWatch had the chance to chat with CEO Tim Grant to learn how his extensive background in global finance is enabling him to create a company that is sculpting the future of finance. We raised $6.5M in Series A funding from ConsenSys AG. Tell us about the product or service that DrumG offers. DrumG is building next-generation distributed ledger-based enterprise networks for the regulated global financial services industry. We have two products currently; one is a decentralized, anonymous and cryptographically secured OTC consensus data solution for investment bank trading and valuation operations. The second is a post-trade reconciliation network for hedge funds, asset managers, prime brokers, custodians, fund administrators and auditors. 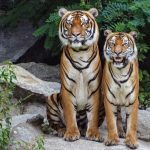 Both of these products will be built on a technology layer that sits above enterprise blockchains that will enable interoperability in the future. What inspired you to start DrumG? 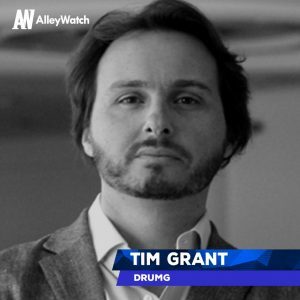 DrumG came into existence as it became clear that the regulated financial services industry did not need another company building another blockchain (as there are many strong players already deep in this space, and there are many different enterprise blockchain architectures with different strengths and limitations.) Rather, the market needed a company that would focus on building and operating networks on the right technology suited for particular use cases with a clear focus on delivering business value. What excites you the most about blockchain? There has been a lot of hype in the blockchain space and that is natural for any new technology that has broad applications across industries. Despite the hype, I believe that the best is yet to come. There are so many brilliant people building blockchains and blockchain ecosystems and the velocity of development is accelerating. I’m most excited about what is going to come out 6 months, 12 months, 18 months from now, as the underlying technology will mature to meet the hype. DrumG believes in delivering solutions that generate true business value on a timeline measured in months rather than years, and this requires a radically pragmatic approach to building and deploying technology. We are different because we take a very different approach than other ‘blockchain’ companies in that we are not building a blockchain. Instead, we are building applications and networks on existing enterprise blockchains. 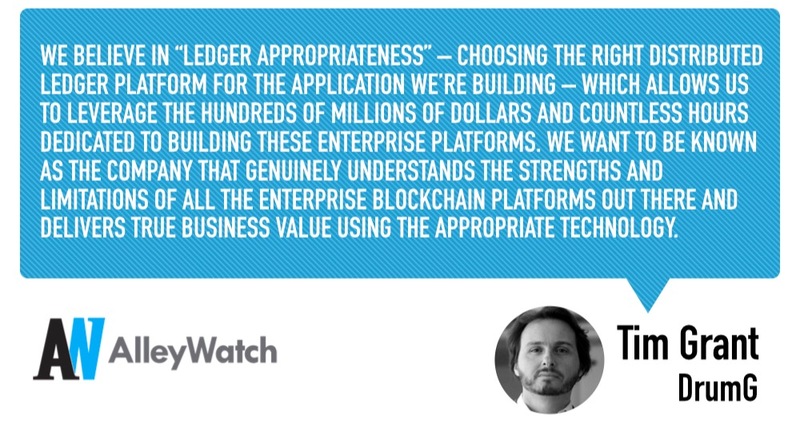 We believe in “ledger appropriateness” – choosing the right distributed ledger platform for the application we’re building – which allows us to leverage the hundreds of millions of dollars and countless hours dedicated to building these enterprise platforms. We want to be known as the company that genuinely understands the strengths and limitations of all the enterprise blockchain platforms out there and delivers true business value using the appropriate technology. We’re also different in that our team has decades of experience across both the business and technology side of financial services, as well as tremendous experience deploying enterprise-grade technology at scale into global organizations. We believe that bringing this level of maturity into this space is a true differentiator. What market does DrumG target and how big is it? DrumG is targeting institutional financial services and this is a tremendous market. Our initial products naturally target different wallet shares of the overall industry, however, we believe that the overall platform we are building – and network we are creating – will over time be broadly applicable across investment banks, hedge funds, capital markets, and the broader financial services ecosystem. DrumG is definitively a product company and sells/licenses access to our products and networks. In the future we will also enable financial institutions to own and sell their proprietary data to third parties – this is a radical departure from the current model which dates back several decades. Our goal is to break down silos and generate value at the intersection of previously walled gardens. Funding processes are always longer and harder than you expect! 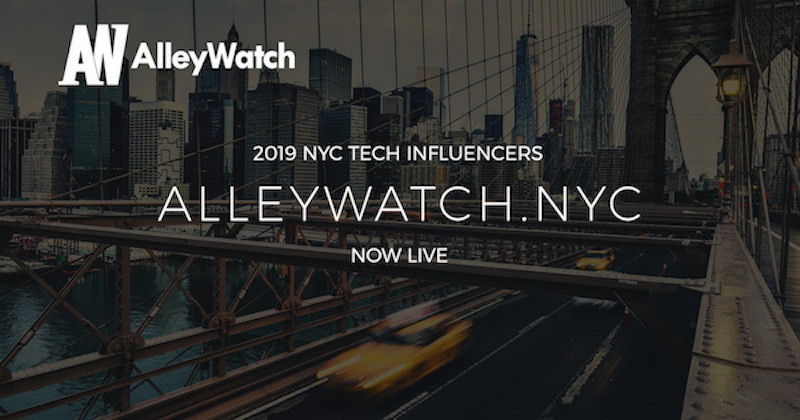 Having said that, we were lucky to find a strategic investor, in the form of Joe Lubin and Consensys, who understood the broader vision we have and who was willing to fund our entire Series A to allow us to move forward with purpose. We wanted to find investors who would also be a partner, and who had a stake in the burgeoning blockchain space. It was also crucial that investors clearly understood our long-term vision as well as our short-term revenue projections. It was harder than we expected to find all of these qualities, but we are delighted that we did in the end. Our tremendous team, our unique approach to building applications, our traction and buy-in from customers, and the market potential were all incredibly important factors. Our goals over the next six months are simple – deliver our products and grow our network user base. We are targeting a Q2 2019 production deployment for our first product with 10 banks in the network. Our second network should be deployed by Q4 2019. Keep hustling but be pragmatic – validate your product and ideas with actual customers and focus on providing actual business value. Don’t mistake activity for progress, and use the runway you have wisely! Deep into execution mode! We have everything we wanted: clients, an outstanding team, a valued investor and strategic partner, validated product ideas. Now we just need to deliver! My rock and roll band recently played at Sidewalk Café in the East Village and looking forward to another show in the future! See you there!